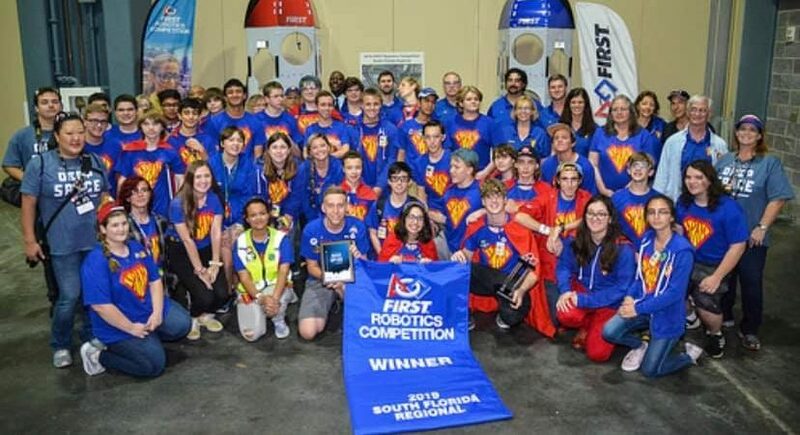 Our Mission:To inspire high school students to be science, technology and engineering leaders by engaging them in a mentor-based program where we design, fabricate, build, program, and test a robot for the FIRST® Robotics Competition whereby gaining essential skills needed to be successful in a professional workplace. S.P.A.M. 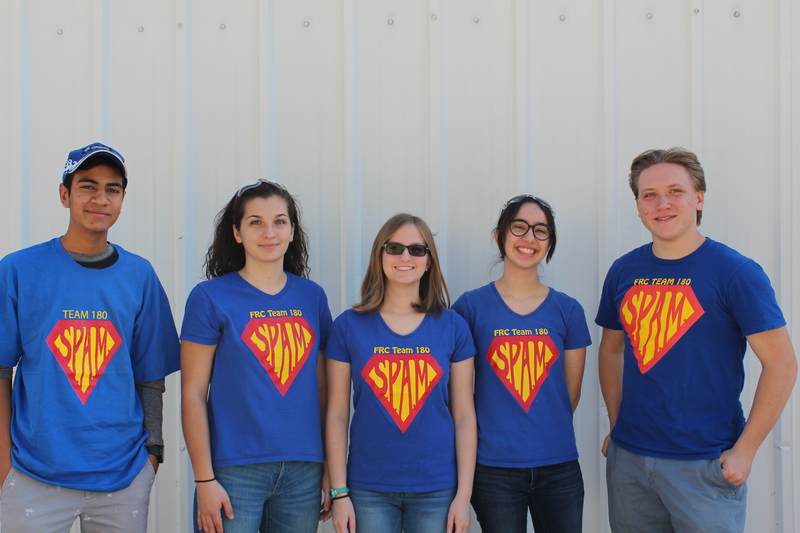 (Speed, Power, and Maneuverability) is a team of high school students from Martin County (FL) mentored by adults employed in Science, Technology, Engineering and Mathematics (STEM) fields and various other professions and occupations. In a six-week build season, we design, fabricate, assemble, program and test a fully-functioning robot to compete in intense challenges against teams from around the world. FRC (FIRST® Robotics Competition) tournaments are organized by FIRST®, www.firstinspires.org. Founded by esteemed inventor Dean Kamen and distinguished MIT professor emeritus Woodie Flowers, FIRST® was created to inspire students to be science and technology leaders and foster well-rounded life capabilities including self-confidence, communication and leadership. In this 6-week build season, S.P.A.M. teaches more than just “how to build a robot.” We learn to work with limited time and resources while gaining the skills and experiences necessary to pursue jobs in the STEM fields and lead us into successful futures. We build leadership skills by working with mentors as our guides, giving students ample opportunity to contribute to the team independently. We are able to sustain our program through the generous donations and sponsorships of local and national businesses, organizations and individuals. S.P.A.M. gives back by practicing “gracious professionalism”, a concept developed by Dr. Flowers, where we encourage all students on our team to assist other teams in any way necessary–such as lending other teams equipment or spare parts, updating robot software, or sharing our expertise and experience–so all participants are able to compete with their robots . We are also actively involved with students in our community spreading the message of the importance of STEM education. 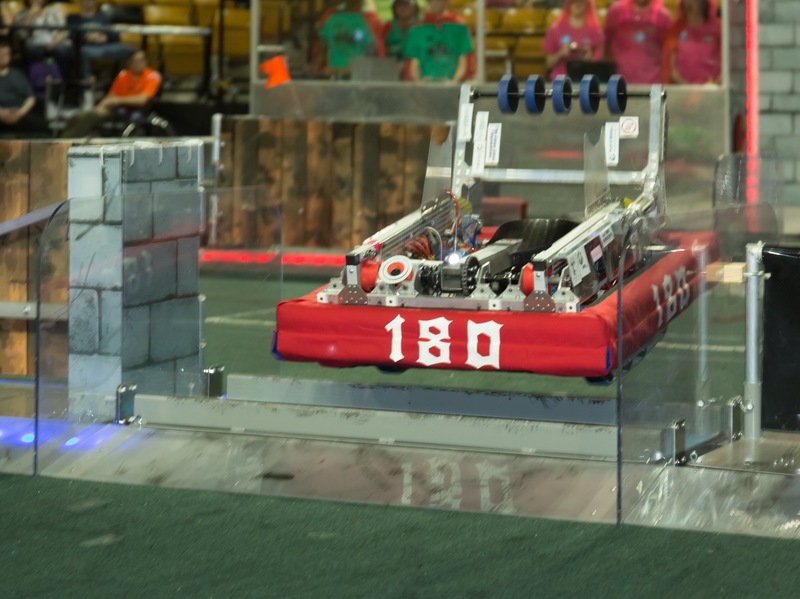 We host FLL (FIRST® LEGO League) tournaments for elementary and middle school students–the largest in the state. 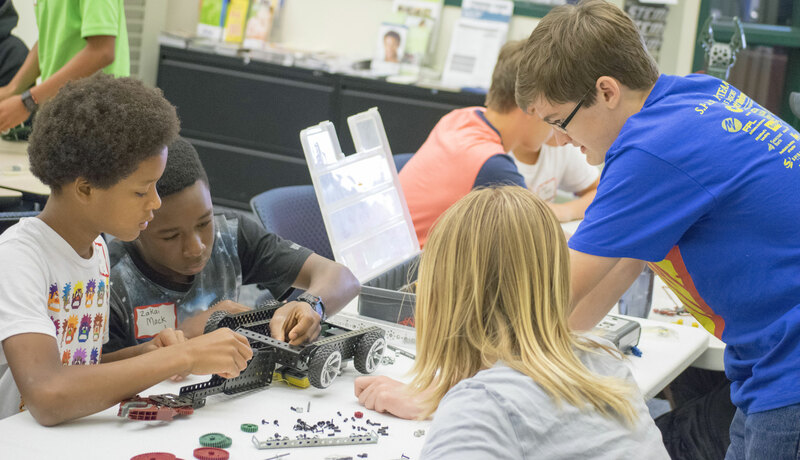 And we use our expertise to teach younger students about robotics and STEM subjects in our annual VEX Robotics Summer Camps and FLL Summer Camps. S.P.A.M. has accomplished our goal of placing FIRST teams in every school in the Martin County School District.